Falling property prices, credit availability and uncertainty ahead of the federal election are factors shaping Australia’s property industry this year. Westpac chief economist Bill Evans on Thursday said he expects falling house prices to drag the economy, that could ultimately force the Reserve Bank to make two cuts this year. 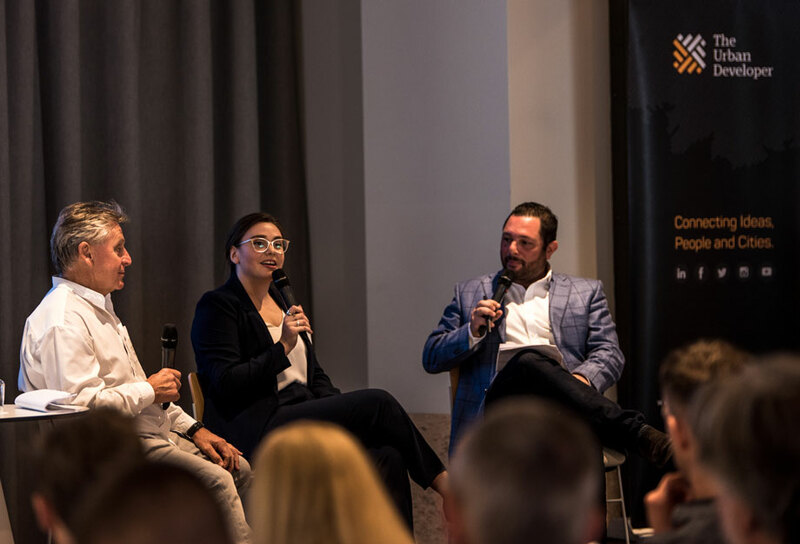 Speaking at The Urban Developer's 2019 Property Market Outlook event today in Brisbane, Macroplan chairman Brian Haratsis said he thinks the banks will keep the cash rate at 1.5 per cent for the calendar year. “But either way, it doesn't really matter,” he said. “Because what will happen is, I think credit spreads will actually increase. So, if the Reserve Bank was to reduce interest rates, mortgage rates won't come down. “The banks will retain credit spread, the banks will retain margin — so it probably won't have a big impact on the overall market outcome,” Haratsis said. Domain Research analyst Eliza Owen said the market is pricing in further cash rate cuts towards the end of 2019. “I think it’s important as to what happens in the housing market,” she said. “With the RBA coming out recently and saying that if they can't stabilise the property market, it’s going to have an impact on wages growth and employment because so many people are employed in construction and real estate. One of the most important things to understand is how the housing market has gone from depending on market forces and the cash rate, to dependence on government policy, and its impact on credit markets, explained Owens. In their response to targets set by APRA Owens says banks have well "over-shot" targets. “The latest banking data shows growth in investment lending is not just below 10 per cent, it’s at 1.6 per cent. Across the major capital cities, Haratsis anticipates Sydney home prices to fall 8 per cent for the 2019 calendar year. And forecasts Melbourne house prices to also fall eight per cent. While in southeast Queensland, Owens said Brisbane was outperformed by the Sunshine Coast and Gold Coast property markets for the final quarter in 2018. However, Owens said Domain has been tracking where viewers are looking when they search for property. As Australia faces a federal election this year, The Urban Developer's Adam Di Marco says several policies impacting the housing sector, notably, negative gearing and capital gains tax are up for grabs. “The election battlegrounds of housing and property include negative gearing, public housing, infrastructure and ‘city deals’, banking reform, population and foreign investment,” he said. With news surfacing overnight that China has banned Australian coal exports, Haratsis says it's something to keep an eye on as news develops. So far RBA governor Phillip Lowe has said he doesn't expect the blocking of Australia's coal imports to have a “dramatic effect” on the economy, as it's understood the blocking could span a couple of months.